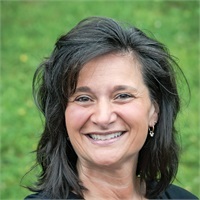 Deb has been with Weinberg Financial Group since 1998. She is Series 6 and 63 securities licensed and possesses a Life, Accident, and Health Insurance license as well. She is responsible for the administrative functions of client distributions as well as working with our many teachers and educators in their administrative needs. She also brought many years of banking experience to the firm. Deb is a member of the St. James Church Music Ministry, Jamestown YMCA, Audubon Nature Center, and the Busti Fire Department Auxiliary.